The DC Universe animated movies have long been some of the closest adaptations of comic books to screen seen anywhere. Movies like Superman: Doomsday, Justice League: The New Frontier, Superman vs. The Elite, and Batman: The Dark Knight Returns have translated specific stories from the comics to the screen with as few changes as they could make and still fit what are generally pretty epic tales into the limited 70-minute runtime of the animated features. Still, changes are necessary. While movies like The New Frontier, Superman/Batman: Apocalypse, and The Dark Knight Returns made conscious efforts to echo the art styles of the comic artists when possible, the movies have just as often fallen back on a house style where most of the character designs look fairly alike from movie to movie and it's more about capturing the tone of the art than the actual look of it. For instance, even if only for budgetary reasons, nobody really expected Warner Animation to closely mirror the look of Brian Bolland's hyper-details work on Alan Moore's Batman: The Killing Joke, which comes to home video (and a limited theatrical release) soon. That said, there are fairly simple ways to make the project look a bit more like the comic than it does, from what fans have seen so far, and that's what the YouTube channel Plan-Making Mammals has done, tweaking the existing trailer for the upcoming animated film to look a bit more like the comic on which it's based. You can check out both their tweaked trailer and a side-by-side comparison video below. Tickets for Batman: The Killing Joke can be purchased online by visiting www.FathomEvents.com or at participating theater box offices. Fans throughout the U.S. will be able to enjoy the event in select movie theaters through Fathom’s Digital Broadcast Network. For a complete list of theater locations visit the Fathom Events website (theaters and participants are subject to change). 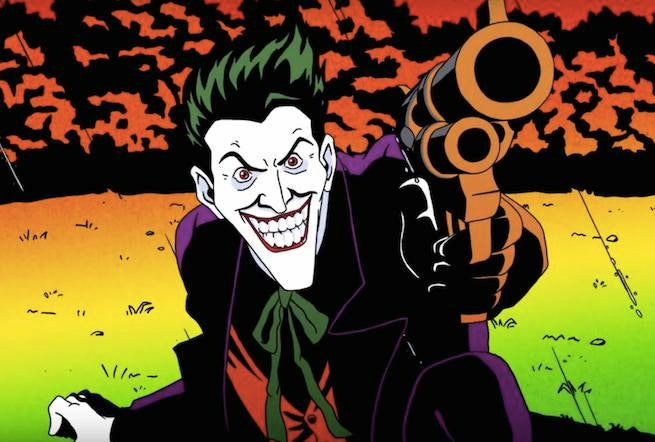 Batman: The Killing Joke features the return of Kevin Conroy and Mark Hamill as Batman and The Joker, respectively, roles they originated on Batman: The Animated Series nearly 25 years ago. Tara Strong voices Barbara Gordon and Ray Wise voices Commissioner Jim Gordon.